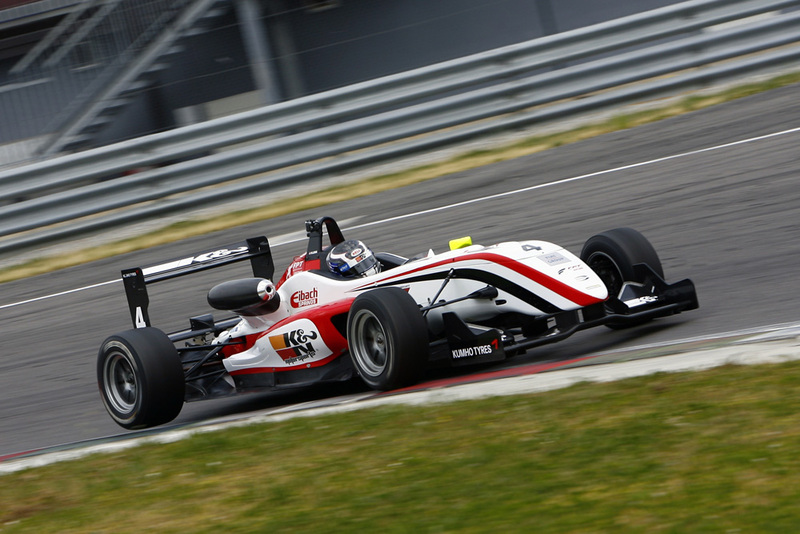 12/05/2011 - Another exciting Italian Formula 3 racing season is going to begin this weekend at the circuit of Franciacorta near Brescia. The 46th edition of the prestigious series powered by Fiat Powertrain Racing will have once again a top class drivers and teams lineup. Ingredients of the series will be young talents experienced in Formula 3 and very young drivers at their debut; remarkable performance balance with very small gaps in the pre-season tests and drivers representing 6 different countries. All these factors announce a thrilling spectacle on track. Absolute protagonists will be drivers, once again called to renew the history of a championship that bred entire generations of drivers with some of them driving all the way up to Formula One. Ambitions are legitimate for most of them starting from Daniel Mancinelli, great protagonist last year when he fought for the tricolored title until the last round. Mancinelli will be driving for RP Motorsport where he will find the Finn Jesse Krohn, another of last year's protagonists, while Team Ghinzani, team with which Mancinelli colored in read the first half of 2010, will line up Edoardo Liberati and the Argentine Facundo Regalia. This couple showed to be very fast in tests held so far. The Italian will aim at the absolute title in his third season in Formula 3 and the South American aiming to do so in the rookies' classification. Michael Lewis, Californian from Laguna Beach has been very fast in pre-season tests and will debut in Formula 3 with Prema Powerteam this year afer racing in Formula BMW. The Italian team will also line up Andrea Roda, in his second season in F3 and the Swiss with Italian origins Lello Marciello. The latter will be the youngest driver in the championship and reaches the series a rookie after a brilliant season in Formula AciCsai Abarth run as pupil of the Ferrari Driver Academy. The programme devised by Scuderia Ferrari to prepare young talents led by Luca Baldisserri has also been following since last year the French Brandon Maisano, winner of the first edition of the Italian Formula AciCsai Abarth Championship, Michele Alboreto Trophy, who will debut in the series this year being loyal to his team BVM-Target. The team that last year obtained the drivers title with the Brazilian Cesar Ramos, protagonist now in th World Series V6 3.5, will line another Frenchman up, Maxim Jousse, vice-champion last year in the British Formula Palmer Audi and Sergio Campana, determined to put his hands on the title after being protagonist of the series in the last two seasons with Lucidi Motors. On their side, the reigning champions of the teams classification will line up Kevin Giovesi, just 17 years of age but at his second season in the series as well as two strong rookies, Eddie Cheever and the Brazilian Victor Guerin, both coming from the school of Formula AciCsai Abarth. It is going to be the debut season for Simone Iaquinta too, winner last year of the CSAI National Trophy of Formula AciCsai Abarth, who will be driving for Downforce Competition, the team founded in 2003 with the name of A.R.M. Competitions by Marco Ballabio, Formula Alfa Boxer Italian champion in 1990 and Italian Formula 3 driver in 1991 and 1992.